Around the Philippines however, they are a major source of so many products and foods. The trees are everywhere. Leave Manila for one hour on the highway, and there they are: Buko (young coconuts) to drink, dried coconut, fresh coconut, coconut oil, coconut matting, coconut fibre, palm fronds for roofing, woven palm frond mats, coconut shell products… the list goes on. 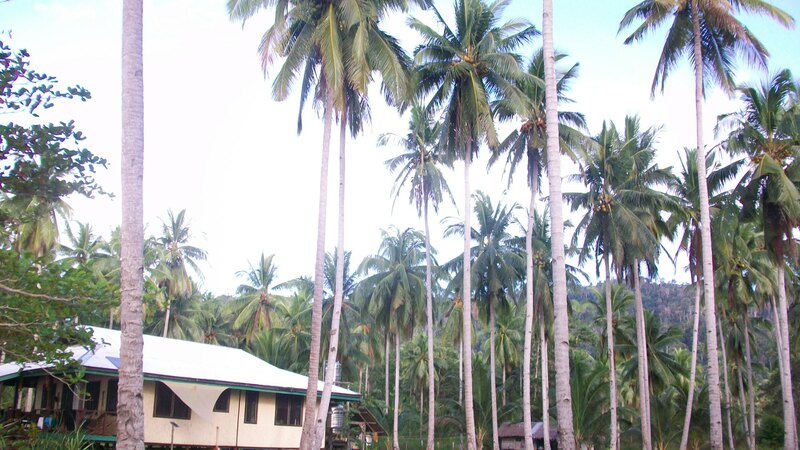 Walking around the house in Palawan, coconuts fell quite frequently from the trees. 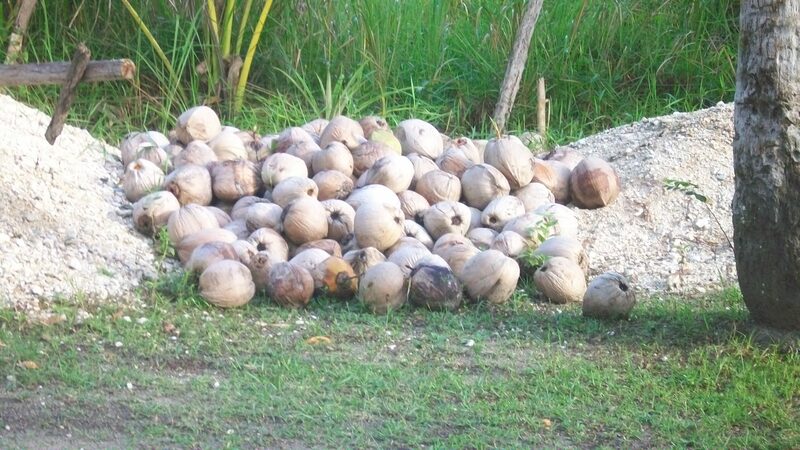 Occasionally the caretaker would go around and pick up the fallen coconuts and toss them onto a pile. You see this piles all over the Philippines and they look like discarded refuse. But they will come back at some point and pick up the shells or the fibre casings to make something. Nothing is wasted.